Are you outside of Dubai? Look to your right, do you see the links called “Moving to Dubai Topics”. On the linked pages, you can find information about the cost of living in Dubai, visa issues, legal issues, and more. Before beginning the job hunt, polish your CV/resume. You can do it yourself, or give to a professional to do it for you. The UAE’s two aluminium smelters are set to merge to create the world’s fifth-largest producer with an enterprise value of US$15 billion. Mubadala and Investment Corporation of Dubai (ICD) are merging their aluminium assets. The joint venture expects to add 2,000 new jobs by 2020 and estimates that a further 6,000 indirect jobs will be created by a growing aluminium sector in the country. 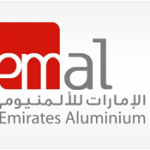 The new company, Emirates Global Aluminium, will be headed by Abdulla Kalban, the current chief executive at Dubal. The new joint venture is intent on growing its operations. Although it is not clear whether this will be at Dubai’s Jebel Ali facility or in Abu Dhabi. To read more, please visit The National. Third party logos published in this website is exclusive property of their respective owners. JobsinDubaiJobs not at all responsible for Authenticity of third party Content (Jobs/Links/Articles) published in this website.